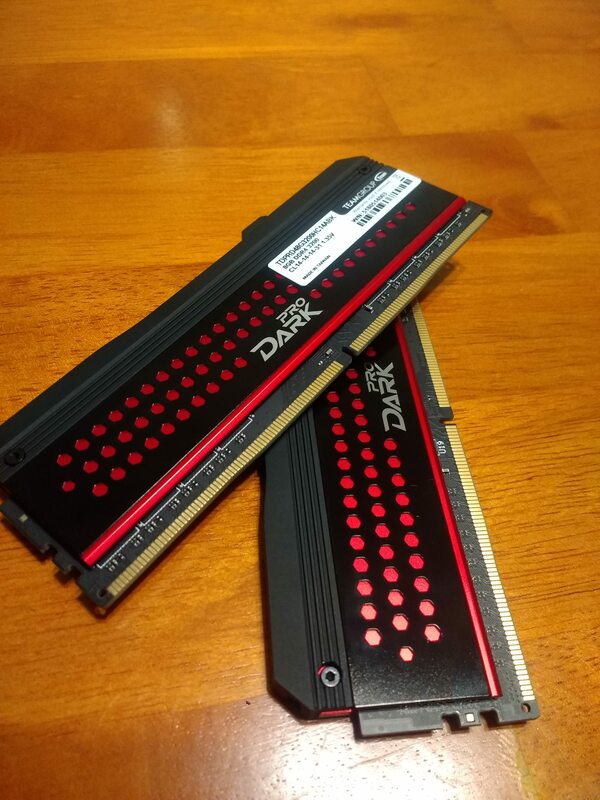 In recent months consumers have seen Samsung based DDR4 prices steadily increasing and there seems to be no light at the end of the tunnel. However, I am happy to report to you today that there is hope. In the overclocking world, Samsung B-Die based memory modules have become ubiquitous with tight timings and high frequency. The market demand has grown exponentially for B-Die memory because of its many advantages, but the downside to this is the constantly increasing prices. 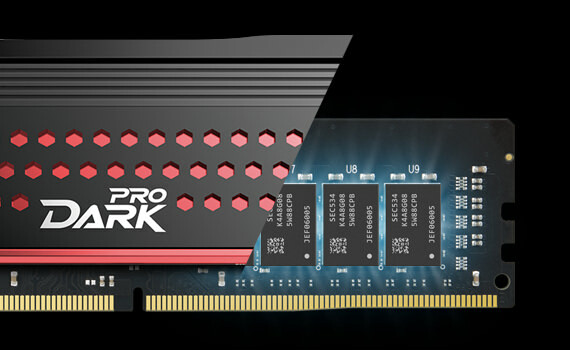 Teamgroup Inc. decided to meet the demand of this market by launching their Dark Pro line of memory which appears to be a budget conscious memory module based around highly overclockable Samsung IC’s. While not all of the memory in the Dark Pro lineup may not be equipped with the coveted B-Die, I have confirmed that my test kits do indeed use it. You may not be familiar with them, but Teamgroup Inc. is not a new company. They were founded in 1997, and they have been a top contender in the memory market since the days of DDR1. 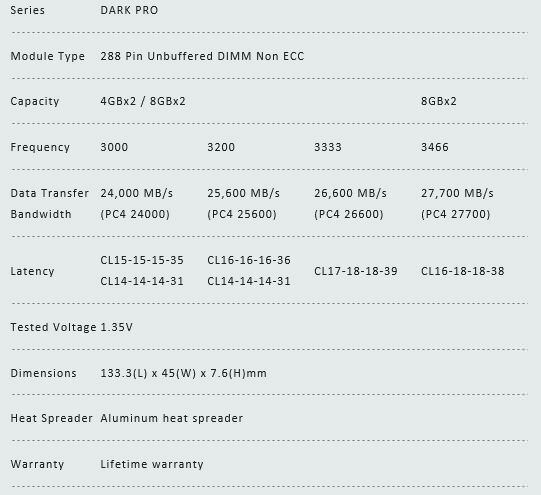 The dark pro lineup offers a few different choices to meet your demands, all are certified XMP 2.0. For the purposes of this research project and review, I will be looking at the kit of memory that is confirmed to be Samsung B-Die. 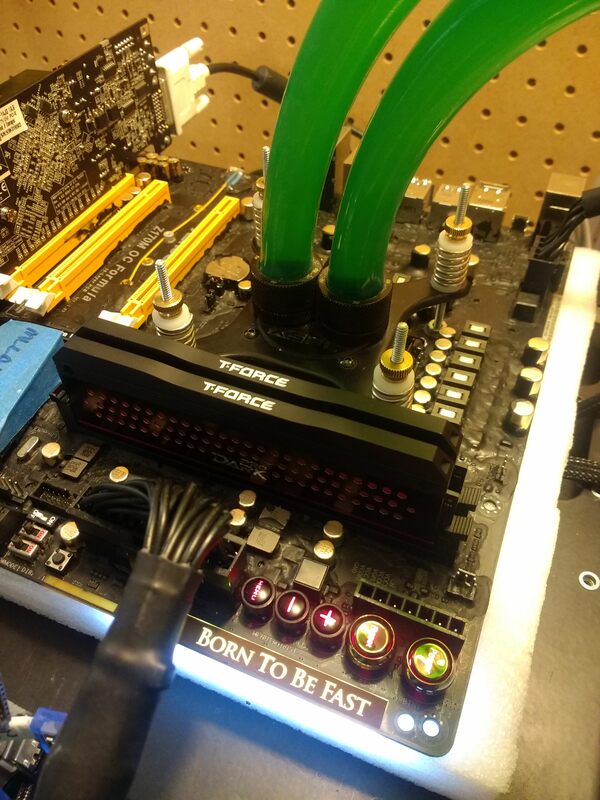 While other modules in the lineup may be highly overclockable and extremely efficient for gaming, my objective is the maximum overclock potential. Therefore, he kit of memory I will be looking at today is the DDR4 3200c14 kit, which runs XMP 2.0 timings of 14-14-14-31. Packaging is often an overlooked element to a finished product, but it shouldn't be. The packaging is just a delivery mechanism to ship the product safely, but it also serves as the first impression of quality. We have all opened products with cheaply made packaging and whether you acknowledge it or not I believe that it has an effect on the first impression of the product. 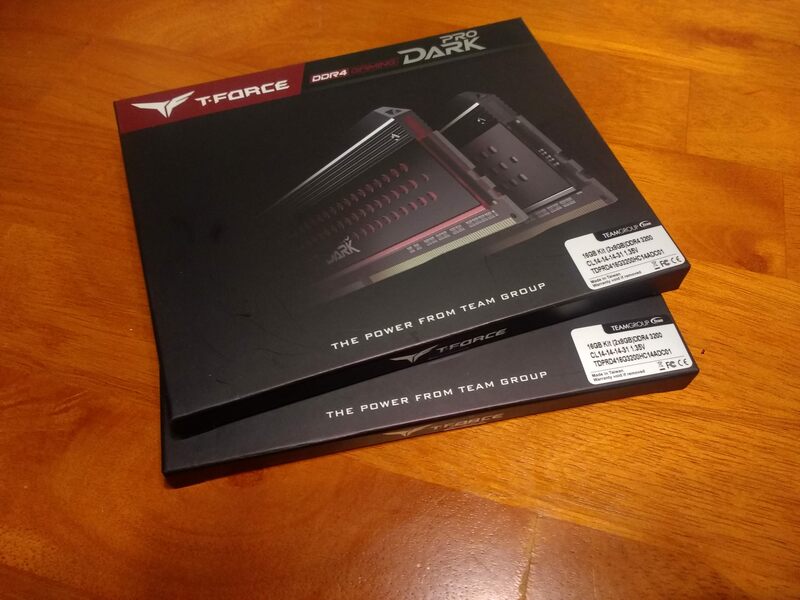 The Dark Pro packaging does not disappoint. While it is incredible simple and effective, it does lend a feeling of quality. 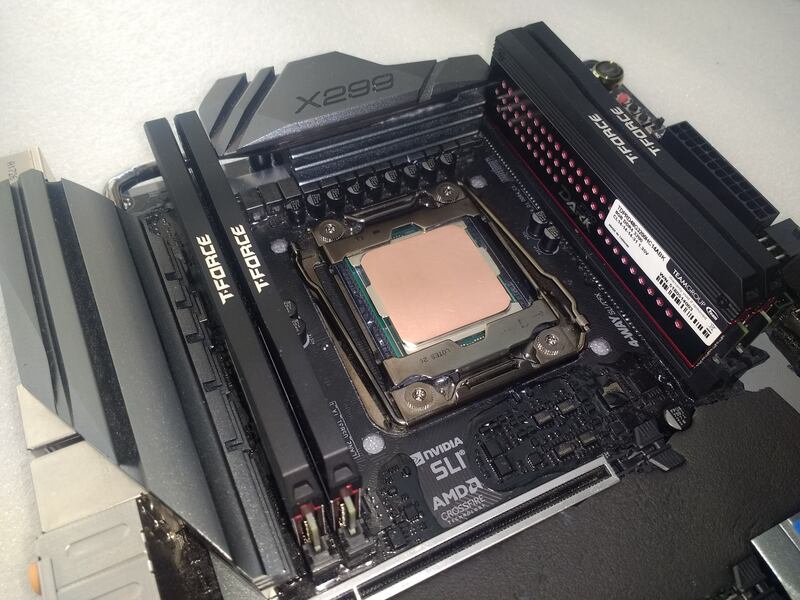 The heatsink design and look is incredibly subjective, but one thing is certain, when you hold the memory in your hands you get the feeling of quality. It has weight and the overall fit and finish feel excellent. On a personal level I strongly dislike anything RGB. I think the memory should be neutral and blend in to the system without standing out. I think the the Dark Pro modules fulfill that requirement perfectly with the predominant color being black and the highlight colors being either gray or red. They blend into the system and allow you to focus lighting efforts in other places. With just a small flash of red, they blend in nicely with almost any system. 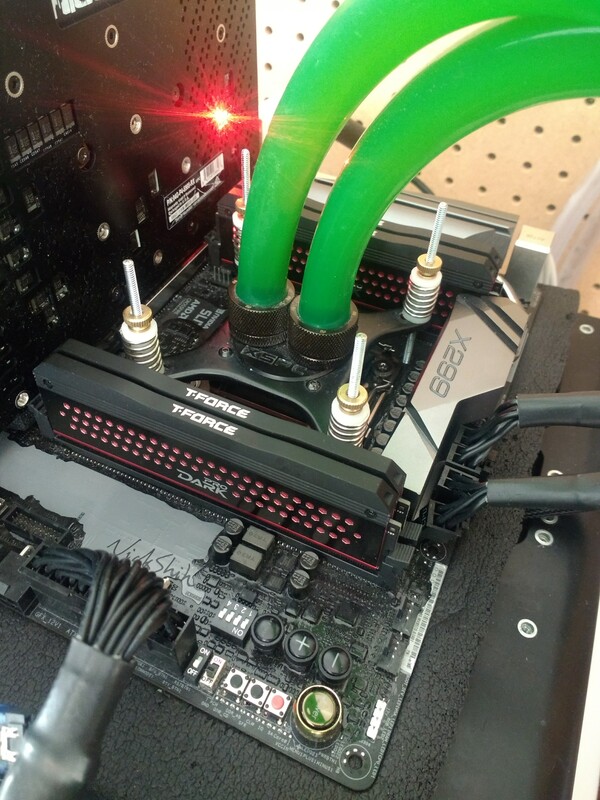 Here you can see then paired up with the ASRock X299 OC Formula. 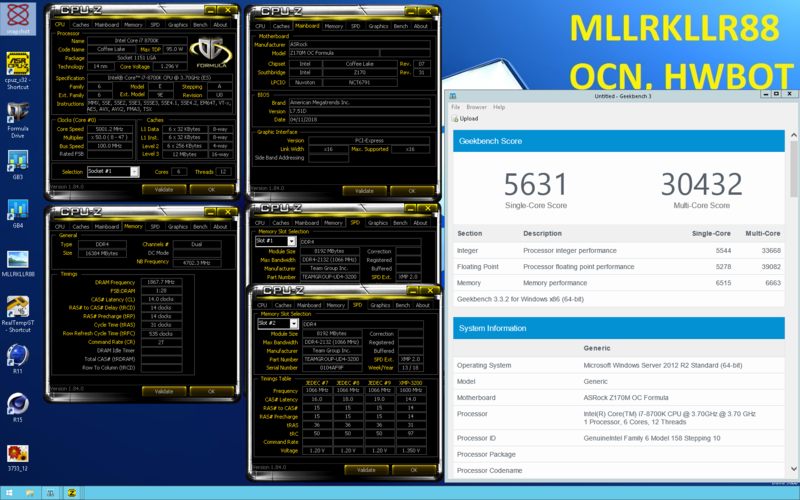 The overall objective is memory overclocking for benchmarking purposes. Many of the benchmarks today can benefit from both increased memory speeds and tighter timings. With this kit of memory, the XMP is already incredibly efficient combining both high frequency and low latencies. 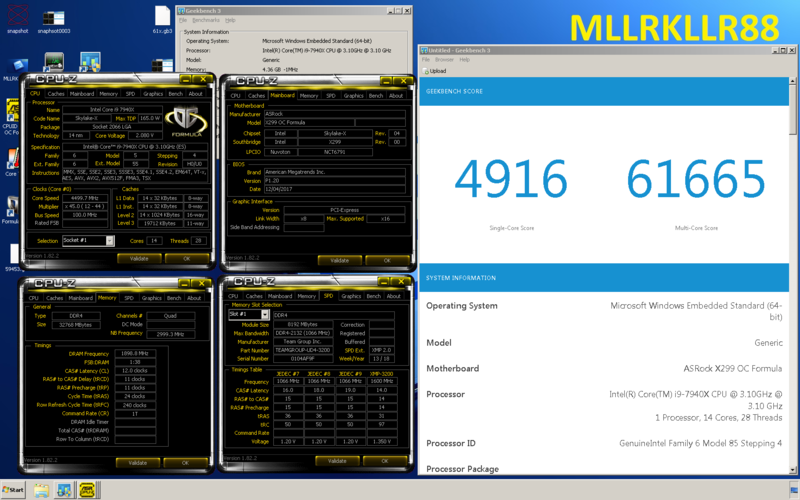 However, my goal is to take things one step further and find out the percentage of gain I can achieve in benchmarks from purely memory overclocking. There are two main areas of usage I want to address with this review. In the first part I will look at what can be accomplished using the absolute maximum voltage. According to the XMP 2.0 certifications, the absolute maximum allowable voltage is 1.50v VDDR. Anything above this will void the warranty and potentially kill the memory. In the second part of this review I will evaluate any potential gains to be had from driving MORE than 1.50vddr. In some situations there can be exponential gains in frequency and latency by driving up to about 2.10v VDDR. Note: I have been overclocking DDR4 just about on a daily basis with over 2.0v and there has been no detrimental effects to the CPU, MB, or memory in over a year of hard use. Both of my test systems are not contained within a case, they are open air test rigs. This gives me the flexibility to quickly change configurations and run exotic test setups without being constrained to a computer case. The ambient air during the testing was right around 80-85F. For each platform I will examine the overclock potential under various conditions as described above. However, I thought it would also be interesting to look at how Geekbench responds to increase in memory speeds. Looking at score improvement with only memory overclock is not just a curiosity, it's a real world representation heavy load daily functions. I have spent a lot of time testing other brands of memory modules with both X299 quad channel and Z170 dual channel. 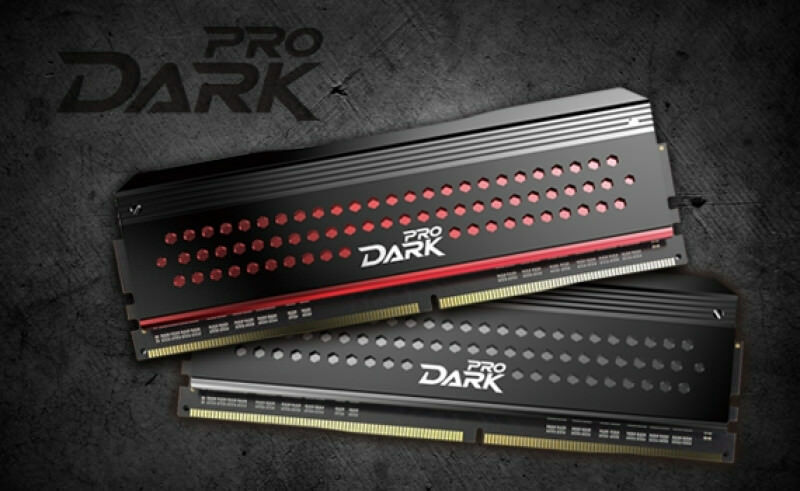 In the quad channel configuration, the Dark Pro kit of memory is on par with the best DDR4 available on the market today. I have compared them to quad channel kits that exceed $650 and the overclock potential is exactly the same, this is really quite impressive. 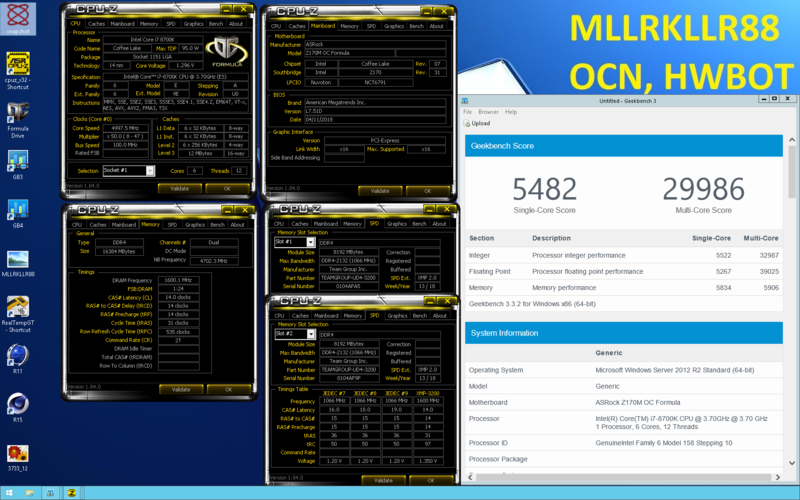 However, in the dual channel configuration, with Z170, they do not have the same overclock potential. 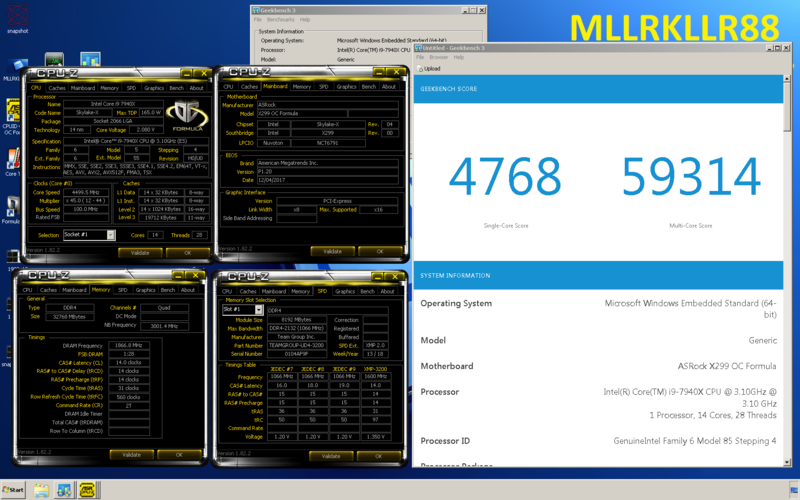 With other memory modules, testing in the same Z170 MB/CPU configuration, I have reached 4133 CL12 vs Dark Pro 3733 CL12. 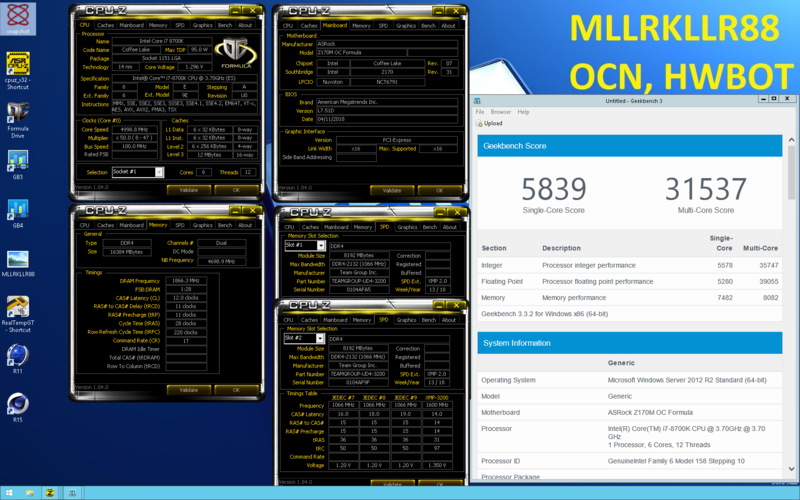 As I have shown above, the real world gain in performance from memory overclocks beyond XMP is really not practical. The maximum performance I was able to achieve was about 3.5% but this required voiding the warranty and severely limiting the life of the hardware. I highly recommend this memory for quad or dual channel configurations. The overclocking potential in Quad channel is really quite impressive, right in line with the absolute best. 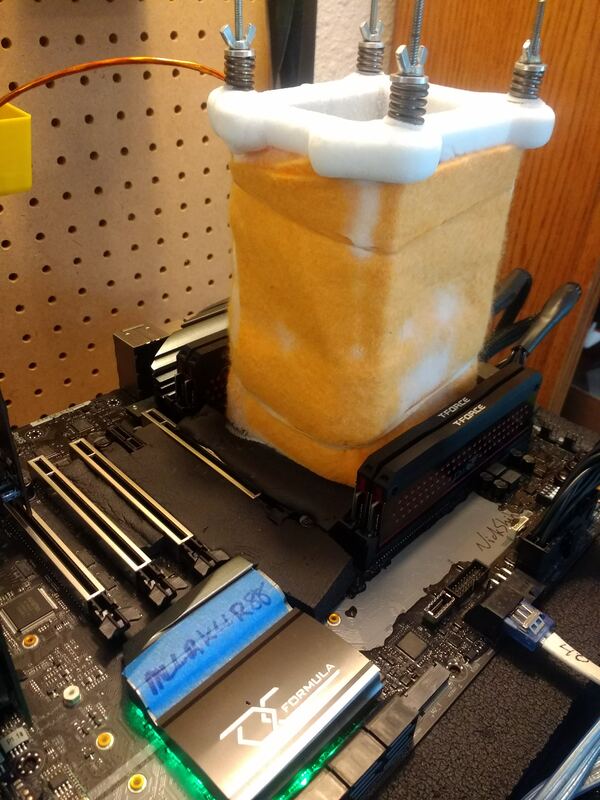 If you are a power user who is using subzero cooling for highly competitive extreme overclocking in dual channel mode only, then perhaps this memory is not for you.